The Bell 212 / UH-1N is a twin-engined medium utility helicopter produced by the US-American manufacturer Bell Helicopter Company, today Bell Helicopter Textron. The military main variant is the Bell UH-1N Twin Huey. 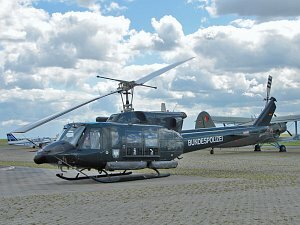 The Bell 212 is a stretched twin-engined development of the Bell 205. The Bell 212 is powered by a Pratt & Whitney Canada PT6T-3 Twin-Pac engine. The Twin-Pac consists of two coupled PT6A-34 turbines driving a common output reduction gearbox. Engine power rating data is for both engines together. 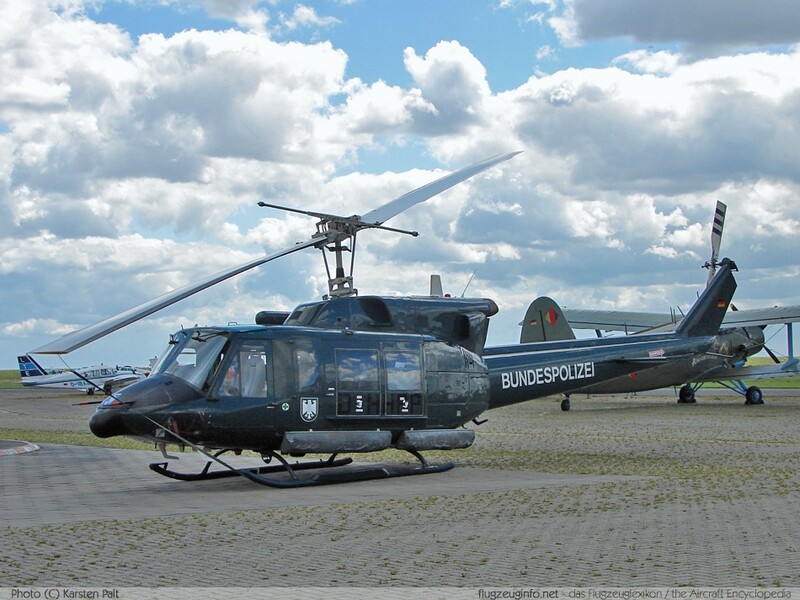 The Bell 212 was also license-built in Italy by Agusta (Agusta-Bell AB212).